This week’s photo highlights FEECO’s floating tire design. The effects of thermal expansion are overcome by having tires of “free floating” construction. Shim plates and keeper bars are located so that the tires are supported away from the shell, minimizing thermal distortion and yet allowing the machined, wide-face tire to be held rigidly in position. The tires, of special seamless alloy steel, have machined faces where rolling contact by wheels and thrust rollers occur, provide a solid base for smooth rotary drum motion. 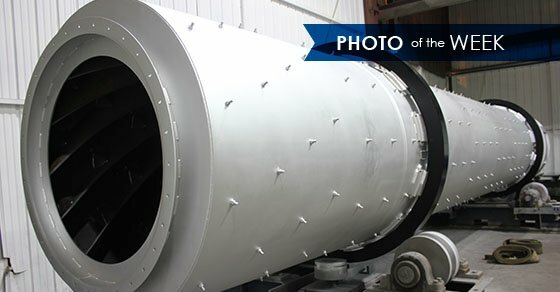 Since our founding in 1951, FEECO has designed and constructed custom rotary drums to meet our customer’s unique process needs. Contact FEECO today and learn more.